Blessed Jesus, my Savior and Master, model of all perfection, I resolve — and will try this day with my full heart — to imitate Your example, to be like You: mild, humble, chaste, zealous, charitable, and kind. I will redouble my efforts to see Your image in all those I meet and deal with this day — not only people I like — and to be as helpful to them as I would be to You. I resolve to avoid this day all those sins which I have committed heretofore and which I now sincerely desire to give up forever. Amen. [A Man of God from Judah] While Jeroboam was standing by the altar to offer incense, a man of God came out of Judah by the word of the LORD to Bethel and proclaimed against the altar by the word of the LORD, and said, "O altar, altar, thus says the LORD: 'A son shall be born to the house of David, Josiah by name; and he shall sacrifice on you the priests of the high places who offer incense on you, and human bones shall be burned on you.'" He gave a sign the same day, saying, "This is the sign that the LORD has spoken: 'The altar shall be torn down, and the ashes that are on it shall be poured out.'" When the king heard what the man of God cried out against the altar at Bethel, Jeroboam stretched out his hand from the altar, saying, "Seize him!" 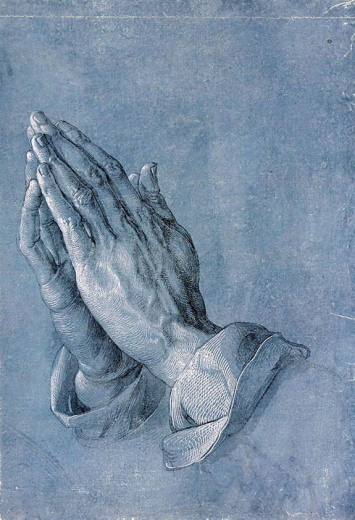 But the hand that he stretched out against him withered so that he could not draw it back to himself. The altar also was torn down, and the ashes poured out from the altar, according to the sign that the man of God had given by the word of the LORD. The king said to the man of God, "Entreat now the favor of the LORD your God, and pray for me, so that my hand may be restored to me." So the man of God entreated the LORD; and the king's hand was restored to him, and became as it was before. Then the king said to the man of God, "Come home with me and dine, and I will give you a gift." But the man of God said to the king, "If you give me half your kingdom, I will not go in with you; nor will I eat food or drink water in this place. For thus I was commanded by the word of the LORD: You shall not eat food, or drink water, or return by the way that you came." So he went another way, and did not return by the way that he had come to Bethel. [Salutation] Paul and Timothy, servants of Christ Jesus, To all the saints in Christ Jesus who are in Philippi, with the bishops and deacons: Grace to you and peace from God our Father and the Lord Jesus Christ. 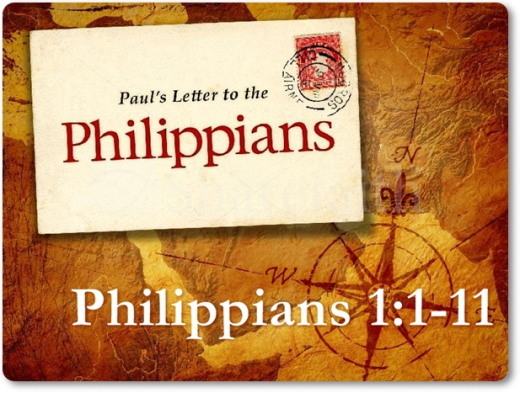 [Paul’s Prayer for the Philippians] I thank my God every time I remember you, constantly praying with joy in every one of my prayers for all of you, because of your sharing in the gospel from the first day until now. I am confident of this, that the one who began a good work among you will bring it to completion by the day of Jesus Christ. It is right for me to think this way about all of you, because you hold me in your heart, for all of you share in God's grace with me, both in my imprisonment and in the defense and confirmation of the gospel. For God is my witness, how I long for all of you with the compassion of Christ Jesus. 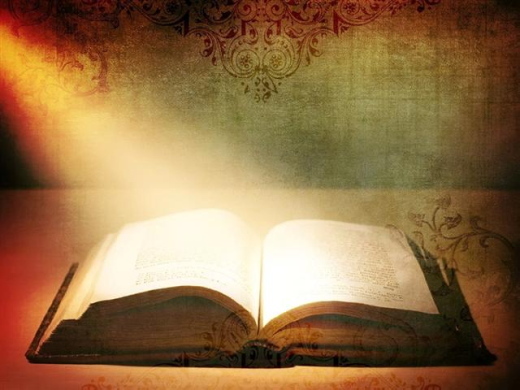 And this is my prayer, that your love may overflow more and more with knowledge and full insight to help you to determine what is best, so that in the day of Christ you may be pure and blameless, having produced the harvest of righteousness that comes through Jesus Christ for the glory and praise of God. [The Burial of Jesus] When evening had come, and since it was the day of Preparation, that is, the day before the sabbath, Joseph of Arimathea, a respected member of the council, who was also himself waiting expectantly for the kingdom of God, went boldly to Pilate and asked for the body of Jesus. Then Pilate wondered if he were already dead; and summoning the centurion, he asked him whether he had been dead for some time. When he learned from the centurion that he was dead, he granted the body to Joseph. Then Joseph bought a linen cloth, and taking down the body, wrapped it in the linen cloth, and laid it in a tomb that had been hewn out of the rock. He then rolled a stone against the door of the tomb. Mary Magdalene and Mary the mother of Joses saw where the body was laid. At anything thy wisdom has denied, or anything that goodness lent. O lead me whereso'er I go, thro' this day's life or death! Now all glory to you, great God, who is able to keep us from falling away and will bring us with great joy into your glorious presence without a single fault. All glory to you who alone are God, our Savior through Jesus Christ our Lord. All glory, majesty, power, and authority are yours before all time, and in the present, and beyond all time! Amen. Psalm 121:1-2 (NIV) [A song of ascents] I lift up my eyes to the mountains—where does my help come from? My help comes from the Lord, the Maker of heaven and earth. This verse summarizes the startling message of 2 Corinthians 12. It encapsulates perhaps the hardest of Christ’s teachings: That we must abandon our love of the things of this world. Almost everything we learn to value in life, almost everything we seek outside of Christ, damages our relationship with Him to some degree; this verse is like a homing beacon, to bring us back to Him when the world has pulled us away. We do not hear the idea of it emphasized for an ironic reason. The people we are most likely to hear speaking and writing are prominent; and few prominent people are assiduous in finding grace sufficient. People who are celebrated and followed are strong: strong in intellect, strong in self-promotion, strong in power, strong in their ability to speak and write convincingly, and generally either rich or having control over wealth. They generally take satisfaction in having many followers; and satisfaction with being heard is, at its heart, pride in one's own accomplishment. Every lesson in life teaches us to seek strength. We fear death and loss of property, so we want to be able to take care of ourselves against attackers at every level: a home secure against intruders, good police who will come quickly, or military strength. We fear humiliation, so we teach ourselves rhetoric that we may argue convincingly. We guard our egos fiercely. We spend our leisure time exercising to strengthen and beautify our bodies. We seek medical attention to extend our physical lives, avoid pain, and maximize our mobility. We seek strength of will, to avoid sin and to get done what we want to get done in this life. The seeking of strength, in short, informs every thought and action of the human life. Even when we pray, it is often for strength! Heal me, Lord; help me get the job, make more money, have a good marriage. Most of what we seek is not sinful, in and of itself. What drives us away from Christ is the attitude within ourselves that becomes an automatic response, that we must become stronger. For the stronger we are, the more difficult it is for us to understand and accept God's grace, granted to us by Christ. But once we understand that grace is sufficient for us, we hold the key to innumerable problems. Is our first goal to solve our earthly problems, or is our first goal to accept God’s grace. We must always hold in mind these difficult truths: First, grace is sufficient for us. It is all we need. Second, our power is made perfect in weakness. It is our weakness, not our strength, that helps us or even allows us to find Christ. Never forget, Christ’s triumph came through the ultimate earthly loss, the loss of His life; and His grace will become perfect in us by our own ultimate loss, death. Do we not see, then, that our suffering, our losses, our defeats in life increase Christ's grace in our live? 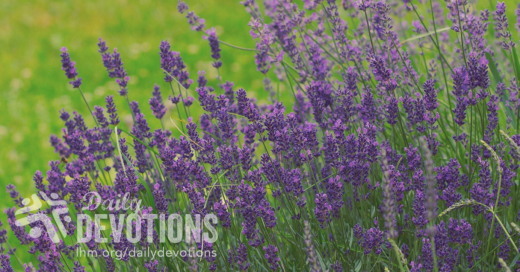 Paul tells us repeatedly to rejoice in our suffering, and this is why. Christ's grace will not come to us in our earthly victories, but in our earthly defeats. Lord, Your grace is sufficient for me. Amen. Scripture taken from The Holy Bible, English Standard Version. ESV® Permanent Text Edition® (2016). Copyright © 2001 by Crossway Bibles, a publishing ministry of Good News Publishers. Devotion by Mason Barge, Editor, Daily Prayer. This verse summarizes the startling message of 2 Corinthians 12. It encapsulates perhaps the hardest of Christ’s teachings: That we must abandon our love of the things of this world. ¡Cuán bueno y cuán agradable es que los hermanos convivan en armonía! [...] Donde se da esta armonía, el Señor concede bendición y vida eterna. Esta semana te he contado partes de mi testimonio y hemos podido ver juntos cómo Dios tuvo misericordia, ya que en medio de tanta gravedad, Él intervino de una manera sobrenatural. Así lo hará en tu vida sin importar cuál sea tu situación. ¡Dios tiene la última palabra! Durante este tiempo fue hermosísimo ver cómo mis oyentes, mi familia y amigos se volcaron en solidaridad, cadenas de oración, ofrendas, flores, llamadas, visitas y correos electrónicos con palabras de ánimo. Pude darme cuenta de la magnitud del cariño de las personas y me dije varias veces: «Ha valido la pena todas las madrugadas para ir a la radio. Ha valido la pena el servicio que he realizado por los demás», pues lo coseché en ese tiempo. Sé que Dios fue el que movió el corazón de muchos de ustedes para hacer lo que hicieron por mí y mis princesas. Fue tanta la solidaridad que hasta el personal del hospital le preguntaba a mi familia si yo era una persona de la política, ya que el teléfono no paraba de sonar. Era tanta la gente que venía a orar por mí, que tuvieron que prohibir las visitas. Mi enseñanza con esta experiencia es que recogemos todo lo que sembramos y que también se recogen el amor y el afecto. Por lo tanto, no dejemos de ser misericordiosos, pues lo que podamos hacer por los demás es de bendición. Todas las personas que están en los hospitales, las cárceles y los hogares de ancianos necesitan de nuestras oraciones y compañía. The one big thing the church has over the world is showing grace. Jesus did not let any institution interfere with His love for individuals. Here is where the fruit of the Spirit are so important in our lives. Jesus said we are to have one distinguishing mark—neither political correctness nor moral superiority, but—love. Kenneth Kaunda, the former President of Zambia has written, “…what a nation needs more than anything else is not a Christian ruler in the palace but a Christian prophet within earshot.” Jesus warned that the world who hated him would hate us also. As the early church spread throughout the Roman Empire, the slogan “Jesus is Lord” was a direct affront to the Romans. When conflict came, brave Christians stood up against the state, appealing to a higher authority. Through the years, this same energy continued. In all of this, we are to be wise as serpents and harmless as doves. All our actions—and even counteractions—are to be seasoned with grace. When we show just the opposite, then we must consider the wisdom of our choices. Herein lies the chief danger to grace. The state, which runs by rules of ungrace—the entire “world” does—gradually drowns out the church’s sublime message of grace. The church works best as a force of resistance, a counterbalance to the consuming power of the state. The cozier it gets with government, the more watered-down its message becomes. Can you imagine any government enacting a set of laws based on Jesus’ “Sermon on the Mount?” A state government can shut down stores and theatres on Sunday, but it cannot compel worship. It can arrest and punish murderers, but cannot cure their hatred much less teach them love…It can give subsidies to the poor, but cannot force the rich to show them compassion and justice. It can ban adultery but not lust, theft but not covetousness, cheating but not pride. It can encourage virtue but not holiness. RESPONSE: Today I will operate in the world I encounter and in my church dispensing grace. PRAYER: Help me, Lord, to be a person who is known for my ability to live like Jesus—with grace. 1. Philip Yancey, What’s So Amazing About Grace? (Grand Rapids: Zondervan Publishing, 1997), pp. 219-227. The Lord is my light and the one who saves me. So why should I fear anyone? Evil people may try to destroy my body. My enemies and those who hate me attack me, but they are overwhelmed and defeated. If an army surrounds me, I will not be afraid. If war breaks out, I will trust the Lord. I remember exactly where I was and what I was doing when the phone rang and my husband said, “Honey, you need to turn on the television - right now.” It was the middle of the day and I was busy cleaning house, doing laundry and trying to cram in an hour of study time, but the sadness and dread in my husband’s voice stopped me in my tracks. Something was very wrong. I was still totally unprepared for the horrific scene that played out in vivid reality on the television screen before me. I stared in shock at the surreal images of two airplanes flying into the Twin Towers of the World Trade Center in New York City. Both towers collapsed - killing thousands of innocent people – and forever changing life as we know it. Why bad things happen to good people is a question we have been asking since time began. I have been a Christ follower for many years. I am a Christian author and speaker and the wife of a pastor. Over the years, God has brought me out of more pits than I can count, and I have literally attended church since the day I was born. My faith in God should be unwavering. I should never doubt or question Him or His plan. But sometimes I do. You may be offended at my next statement, but if I am brutally honest, my faulty human mind and sin-tainted heart can almost - almost come to grips with such horrendous circumstances happening to someone who is evil and has turned their back on God. Bad things should happen to bad people and good things should happen to good people. Sounds logical and fair - right? You and I both know that life is not fair and that our human logic is a shallow substitute for God's sovereignty. We are broken people living in a broken world. Bad things do happen to good people while those who mock God seem to prosper, and it's been that way for a long time. Take Job for example. Don’t miss the important fact that God not only allowed Satan to test Job, but dictated how Satan could test him. Job went from having vast wealth to great poverty, losing everything he and his wife had, including their ten children. Job's wife urged her husband to turn away from and curse God - but Job stood firm. Job 1:20-21 "Then he fell to the ground in worship and said: ‘Naked I came from my mother's womb, and naked I will depart. The LORD gave and the LORD has taken away; may the name of the LORD be praised.’"
Job was an extraordinary man, husband, father and leader who served God faithfully. His faithfulness to God in prosperity was a powerful testimony, but His faithfulness to God in the face of death, pain and despair was even more powerful. Did Job doubt and question God? Absolutely! Did Job openly and honestly grieve his loss and weep in his pain? Yes, but he remained faithful to God, even when he did not understand why God would let him endure such suffering and pain. God was pleased with Job and rewarded him for his faithfulness. Job 42:11 "The LORD blessed the latter part of Job's life more than the first." Storms come in all shapes and sizes. The lab report comes back malignant. The school calls, demanding that you pick up your child who has just been expelled. Your husband informs you that he no longer wants to be married to you. Your boss calls you into his office to let you know that you are being fired. Financial disaster seems certain while dependable friends seem to vanish. 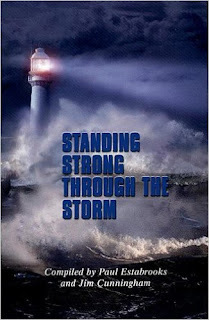 Yes, storms will come and bad things will happen – even to fully devoted followers of God. Where is God when the winds pick up and the churning waters pummel your rocking boat? God is where He has always been and always will be - in the midst of every stormy circumstance. Run into His waiting arms when you are afraid. Trust Him – even though you may not understand what is happening in your life. He is with you. Father, we come to You today, celebrating the freedom that so many have given their lives to protect. I pray that we would remember and cherish their sacrifice. 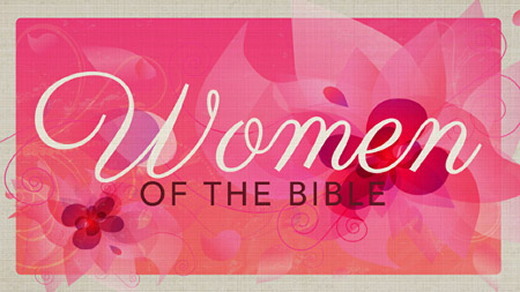 Lord, I want to be a woman of faith who trusts You no matter what happens. Help me cultivate the kind of faith Job had and strengthen me for every trial ahead. Today, I choose faith over fear and trust over doubt. Think back to a time when God allowed something to happen that you simply could not understand. His plan seemed illogical and undoable. You asked, "Why did this happen to me?" Now look at where you are now. What good things have come out of that painful experience? What lessons did you learn from that difficult time? How have those lessons influenced your life today? 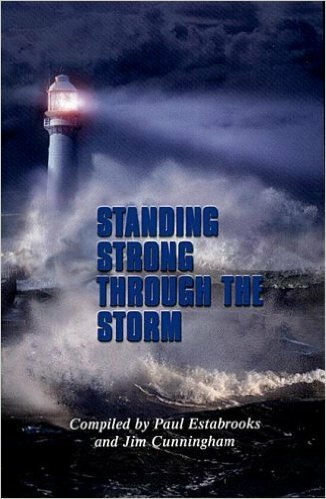 If you need a stronger faith, you need Mary’s E-Bible Study, Strength for the Storm. Perfect for personal as well as small group study. Check out the FREE MP3s on Mary’s website. And be sure to connect with Mary through email or on Facebook. Daily Devotion September 11, 2017 "Like a Child"
At that time the disciples came to Jesus and asked, "Who, then, is the greatest in the kingdom of heaven?" He called a little child to Him, and placed the child among them. And He said: "Truly I tell you, unless you change and become like little children, you will never enter the kingdom of heaven." The greatest. Who's the greatest? That question always seems to be around in this world. We want heroes, powerful men and women who can overcome the odds, do great and mighty things. So, what is it about such bravado that seems to attract us to our heroes? Why do we elevate their status to such heights when it always becomes apparent that even our heroes -- they have feet of clay? Why do we have scores of magazines whose only concern is "Who is the greatest? Who is the most powerful? Who makes the most money? Who are the most beautiful?" -- when all those things are temporal and fleeting? Why do we all want to know what Bill Gates thinks or hang on every word of Bono? Or why do we so eagerly desire all the information about our favorite box office movie star, or the boy or girl wonder of Wall Street? Well, for many of us, that bravado attracts us because we hope that if we can glean a nugget of wisdom from folks like them, if we can mimic their successful actions, maybe, just maybe we can have some control over our lives just like them. With the honor of being the greatest in our society or even among our family and friends -- with that comes power, prestige, and status. With that honor comes control. And isn't that what life is all about? That's what Jesus' disciples were looking from Him that day. I think they were sure they had attached themselves to the next big thing in their society. They had seen Jesus do miracles of healing and feeding. They had experienced the Mount of Transfiguration glow of His godliness. Peter, in front of the others, had even for a moment walked on water with Him. This Jesus was something special, and they had an inside track into His new kingdom, so they were the chosen ones, and now they want to know what that might mean for them. So they asked Jesus a very modern question: "Who is the greatest?" But why? Did they really want to know if Jesus was proud of them? Did they really want to know if they have met His high standards for leadership and service? I don't think so. I don't think their concern is about excellence or holiness or faithfulness from God's point of view. No, they, like many of us, just want to know who's in charge! The problem then is not excellence in leadership, no, it's bravado. To that Jesus said, "I tell you the truth, unless you change and become like little children, you will never enter the kingdom of heaven. Therefore whoever humbles himself like this child is the greatest in the kingdom of heaven." So who is the greatest in the kingdom of heaven? It's the one who is totally dependent on God for his source of life and strength -- like a little child. A child, for all their sins and selfishness, generally knows who to depend on. That's Jesus point. The child knows to look to mom and dad, to look to the one who loves and cares for them. That's why He calls a little child to Him in their presence. He's trying to show these disciples that their greatness and strength with God comes from knowing your dependency on Him and trusting for all things. Yes, like a child. If you want to see what greatness is in the kingdom of God, just look around. Be like this child! That's one reason that Christians often call themselves "children of God." It's not because we are young and naïve. It's not because we are trying to avoid the tough questions and issues of adulthood. No, it's so that we never forget the ultimate source of our strength, our wisdom, our life, even our peace in this tense world. It comes from a simple trust in God who provides all things for us. So think about your spiritual life with God in Christ this week. That's the power to face the tough decisions in your job, your personal life, your family life. Be powerful like a child who trusts a Savior who really loves them! THE PRAYER: Dear Lord, give me the faith of a child to trust in You in all things! Amen. Estén atentos, porque ustedes no saben el día ni la hora en que el Hijo del Hombre vendrá. De acuerdo a una noticia de ABC News, el profeta Yisrayl, también conocido como "Buffalo Bill" Hawkins, predijo que en el 2006 comenzaría una guerra nuclear. Por eso mi pregunta: ¿Todavía está aquí? Como ya dije, espero que así sea. En realidad Hawkins, quien vive en la ciudad de Abilene en el estado de Texas, es sólo uno más en la larga lista de profetas que en los últimos años han predicho fatalidades, desastres, y hasta el mismo fin del mundo. A esta altura eso ya no nos sorprende, pero lo que sí sorprende es que haya personas que les crean. Hubo personas que le creyeron a "Buffalo Bill" Hawkins cuando profetizó que el principio del fin comenzaría el 12 de setiembre del 2006. Cientos de sus seguidores en Kenya se escondieron en refugios subterráneos y se dispusieron a esperar cubiertos con máscaras anti-gas. Cuando pasó la fecha señalada y nada sucedió, regresaron avergonzados a sus casas. Esta vez, en preparación para la más reciente predicción, sus seguidores instalaron cientos de contenedores cargados con alimentos y agua en la propiedad de 44 acres que poseen en Texas. Pero, si usted está leyendo hoy esta devoción, es porque el fin del mundo aún no ha llegado, y ellos estaban equivocados. A pesar de que a través de la historia se han levantado muchos falsos profetas, la Biblia no deja lugar a dudas en cuanto a cuándo llegará el fin del mundo. El propio Jesús fue muy claro cuando dijo: "no saben ni el día ni la hora". Lo único que sabemos con seguridad es que Jesús va a volver. Desde que Dios prometió un Salvador a nuestros primeros antepasados, hasta que esa promesa se cumplió en la persona de Jesucristo, pasaron miles de años. Y luego ese mismo Jesucristo dijo que va a volver, pero no dijo cuándo. Puede ser pronto, como puede ser dentro de miles de años más. Esa es la razón por la cual quienes creemos en el Salvador que vivió, sufrió, murió y resucitó para rescatarnos del pecado y de la muerte eterna, también creemos que debemos estar preparados para esa "hora" que puede llegar en cualquier momento. Una cosa que los seguidores de Hawkins hicieron bien fue que se prepararon. 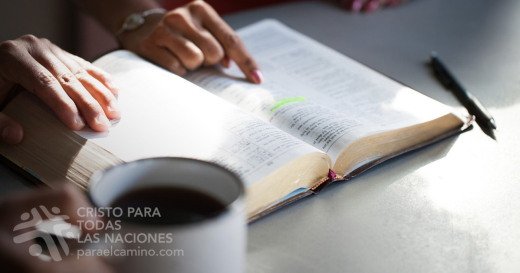 Nosotros también debemos prepararnos, pero no acumulando alimento para el cuerpo, sino viviendo una vida limpia delante de Dios y de quienes nos rodean, y confiando en su perdón y sus promesas. ORACIÓN: Señor Jesús, quizás muchos estén desilusionados porque el fin del mundo aún no ha llegado, pero nosotros te damos gracias porque todavía podemos compartirte con quienes aún no te conocen. Llénanos de tu Espíritu Santo para que seamos testigos fieles de tu gracia y de tu amor. En tu nombre. Amén.